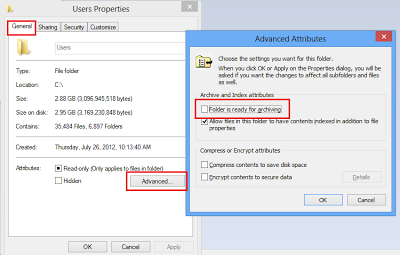 Techies Sphere: What is "Archive Attributes" in windows backup? What is "Archive Attributes" in windows backup? Archive Attributes Status (Before Backup): All files and folder will be having "Check Mark Enabled" on "Folder is ready for archiving" option. Archive Attributes Status (After Backup): All files and folders will be having "Check Mark Cleared" on "Folder is ready for archiving option".